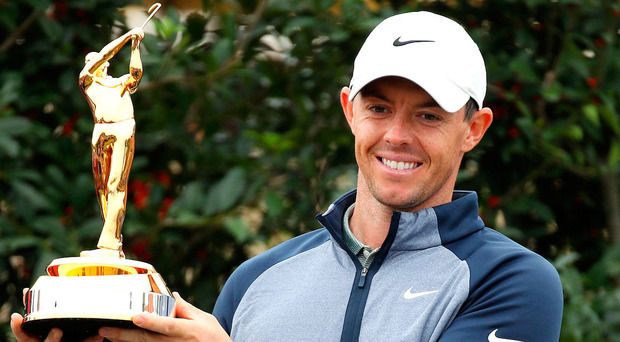 How will Rory McIlroy fare in his World Matchplay quest this week? Rory McIlroy goes in search of his first World Golf Championship title since 2015 in Austin, Texas this weekend at the WGC-Dell Technologies Matchplay. The now World No.4 comes in with plenty of confidence after his victory at the Players Championship two weeks ago, while he'll also be confident given this was the last WGC he won four years ago. Who does he face in the group? It's been an up-and-down start to the season for former Ryder Cup star Fitzpatrick, who has mixed in two top-four finishes (including a second place result at the Arnold Palmer Invitational) with some forgettable appearances on the PGA Tour. While it has seen him move up the world rankings from 40th to 34th since the turn of the year, he still hasn't hit the heights that his performances sometimes promise, but he can turn it on when he needs to, making him a dangerous opponent. It's been a meteoric rise for Harding, who started 2018 at 709th in the world rankings but managed to work his way into the top-85 by December 31 with a stunning season. Four wins on the African Tour, combined with a further 10 top-10 finishes across the African and Asian tours saw him graduate onto the European Tour for this season and he hasn't disappointed. Already in 2019 the South African has a win, at the Qatar Masters, and three top-seven finishes - of McIlroy's challengers, Harding is definitely the man in form. Having broken onto the PGA Tour scene last season, List is still waiting for his first headline win, with his only victory coming on the web.com Tour. He hasn't quite followed up last season's impressive performances, with his best finish so far this year a tie for 10th at the Arnold Palmer Invitational, while he has also missed three cuts in his seven appearances so far in 2019. He'll be hoping the different nature of matchplay will help him kickstart into form, however McIlroy should have too much for him. Who could McIlroy face in the knockouts? Anybody ever heard of a man called Tiger Woods? Yep, if McIlroy makes it into the round of 16 then his likely opponent is the 14-time Major winner in his first knockout game, and what a match that would be. If, however, the former World No.1 stumbles in his group then Patrick Cantlay seems the one to profit. As for quarter-final opponents, Justin Thomas or Jason Day would lie in wait should McIlroy reach the last-eight, with the former a strong matchplay golfer and the likelier of the two to progress from what should be an exciting round of 16 game. If McIlroy makes it to the semi-finals, then World No.1 Dustin Johnson would be a potential stepping stone to the final, should he also make it that far. If not, then there's the potential of facing one of Jon Rahm, Xander Schauffele or Masters champion Patrick Reed. No matter who he'd meet at this stage, McIlroy would be in for a cracker of a tie. From there, of course, the draw is wide open for the final. The logical opponent would be World No.2 Justin Rose, the best player on the other side of the draw, but there are plenty of strong players that could face McIlroy in the showpiece. Brooks Koepka, Bryson DeChambeau and Francesco Molinari (who was so good at the Ryder Cup, of course) would all give McIlroy a huge test in the final. How good is McIlroy's matchplay singles record? McIlroy is 29-16-3 in matchplay, meaning he's won nearly twice as many times as he's lost. It'd be even better if you factored in his team matchplay record, however since he's playing by himself this weekend, we'll only count his singles record. Interestingly, McIlroy has never played against any of his group opponents in matchplay before. He has, however, faced Thomas, Day and Reed once each and lost to all three of them. He's favourite. Well, joint favourite with Dustin Johnson. The bookies like that McIlroy is in form, with five top-six finishes to start the season before he picked up his win at TPC Sawgrass, while they also like his matchplay record. He goes into this week with a lot of expectation on his shoulders, so no pressure. This week they're all in Austin, Texas, and more specifically at the Austin Country Club to the north west of the city. A challenging, 7,108-yard layout, the course has been the host of the WGC-Matchplay since 2016 after it underwent a renovation to fine tune some of Pete Dye's original designs. The signature holes are the 10th, 11th and 12th, a stretch that leads downhill to the edge of the Colorado River and provides a potential game-changing stretch in a match. The 10th is a downhill par-five that is reachable in two for the big hitters, however the green is well-protected by several small bunkers and is guarded by water all the way down the left. The 11th is the big talking point, a very drivable par-four but it requires a carry over the water all the way to the green, otherwise players will find themselves wet and facing the loss of a hole very quickly. The 13th is also a testing par-four with water all the way down the left up to the green. With par-threes and par-fives well-spaced out, it's the perfect matchplay course and suits the tournament ideally. When is McIlroy in action?